Platinum Sponsorship is our way of saying you just get it all. Below we will list all of the things you get and the value of each of these things if purchased separately for 1 year. 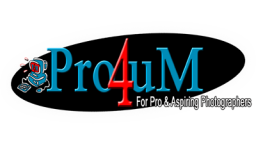 Full Paid Membership to the Pro4uM for you and your whole company - $249 value Selling Membership that will allow you to openly sell on the Pro4uM for you and your whole company - $1200 value Large 728x90 pixel rotating banner at the top of all pages next to the Pro4uM Logo - $1200 value 1 Email Blasts to the entire Pro4uM population a month (currently over 22,000) - $6000 value On top of all of that, we will also include the following BONUS items for Platinum Sponsors Small 120x60 pixel banner on the right side of the Home Page under "Platinum Sponsors" Your own personal Forum under the Platinum Sponsors Forum area in the Buying and Selling section As you can see, the Platinum Sponsorship at $2500 is quite the value. Add up all that separately and it comes to $8649, making your Platinum Sponsorship a real value at a savings of over $6100. We will contact you via email with more information and instructions on how to finish setting up your Banners, Forum, and Members. Gold Sponsorship gives you a nice balance of everything, thus its a super value for most businesses. Below we will list all of the things you get and the value of each of these things if purchased separately for 1 year. Full Paid Membership to the Pro4uM for you and your whole company - $249 value Selling Membership that will allow you to openly sell on the Pro4uM for you and your whole company - $1200 value Large 728x90 pixel rotating banner at the top of all pages next to the Pro4uM Logo - $1200 value 1 Email Blasts to the entire Pro4uM population (currently over 17,800) - $1000 value On top of all of that, we will also include the following BONUS items for Gold Sponsors Small 120x40 pixel banner on the right side of the Home Page under "Gold Sponsors" Your own personal Forum under the Gold Sponsors Forum area in the Buying and Selling section As you can see, the Gold Sponsorship at $1500 is quite the value. Add up all that separately and it comes to $3,649, making your Gold Sponsorship a real value at a savings of over $2000. We will contact you via email with more information and instructions on how to finish setting up your Banners, Forum, and Members. Regular Sponsorship is designed for those who know the value of Pro4uM Advertising and want to have this for a whole year. 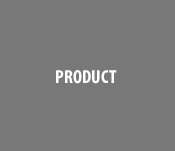 Below we will list all of the things you get and the value of each of these things if purchased separately for 1 year. Full Paid Membership to the Pro4uM for you and your whole company - $249 value Selling Membership that will allow you to openly sell on the Pro4uM for you and your whole company - $1200 value Large 728x90 pixel rotating banner at the top of all pages next to the Pro4uM Logo - $1200 value On top of all of that, we will also include the following BONUS items for Regular Sponsors Small 120x40 pixel banner on the right side of the Home Page under "Regular Sponsors" As you can see, the Regular Sponsorship at $800 is quite the value. Add up all that separately and it comes to $2,649, making your Regular Sponsorship a real value at a savings of over $1800. We will contact you via email with more information and instructions on how to finish setting up your Banners, Forum, and Members.